Here's the latest YogaAnatomy.net newsletter, which you signed up for at http://yogaanatomy.net. To ensure you don't miss any editions of this newsletter, add leslie@yogaanatomy.net to your address book now. Images not displaying properly? Here's the online version. If you were to imagine a scenario specifically designed to wreak havoc on your knees, what would it look like? Find out Leslie's answer in this clip. It's a surprisingly common situation for many of us, and how we set ourselves up can be the difference between keeping our precious cartilage, and losing it. 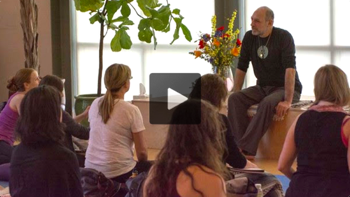 Sutras are not intended to be instruction for the student, but inspiration for the teacher. 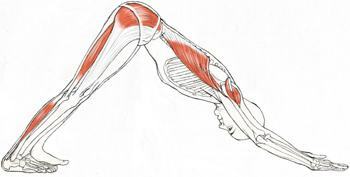 From the perspective of the breath, Downward Facing Dog is an inversion with the spine in axial extension. Since inversions naturally move the diaphragm cranially, the exhaling action of the abdominals can be quite deep. Know someone who could benefit from this information? Please forward this newsletter - they'll appreciate it! 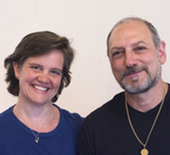 I'm Leslie Kaminoff, founder of the Breathing Project and author of Yoga Anatomy. If you're new to YogaAnatomy.net, my online course, or the Newsletter, welcome - sign up here to make sure you don't miss an issue! Learn Yoga Anatomy through asana! Prefer experience first and theory later? This course is for you. Accepting enrollments now! Are you leading a Teacher Training? 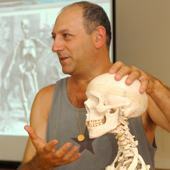 Leslie & his co-author Amy Matthews created an anatomy training specifically for beginning teachers that can plug right into your 200-hour program. CONTACT kelsey@yogaanatomy.net for details. Want to see where Leslie's teaching next? Check out his schedule to see when he'll be in your neck of the woods.